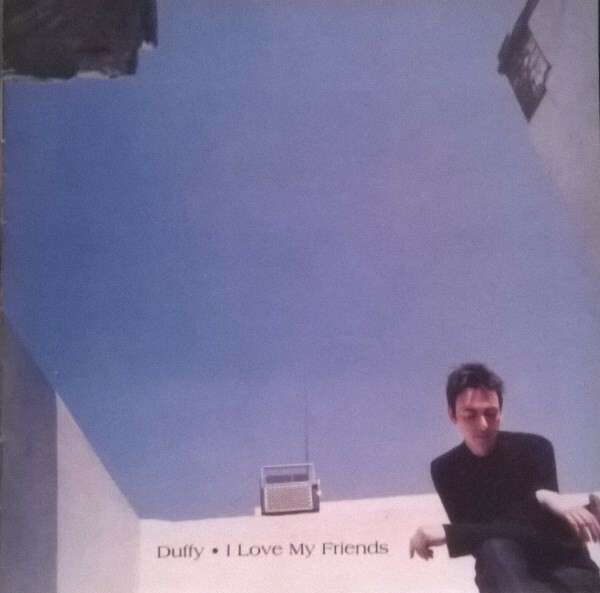 What we didn’t know back then was that the label didn’t have the confidence to release the album that Duffy had recorded, and he was admonished to go back into the studio with Lilac Time producer Andy Partridge to got some “single ready” material. So “You Are” and “What If I Fell In Love With You” replaced material in the original running order before the Indolent much less Cooking Vinyl versions reached the fans. 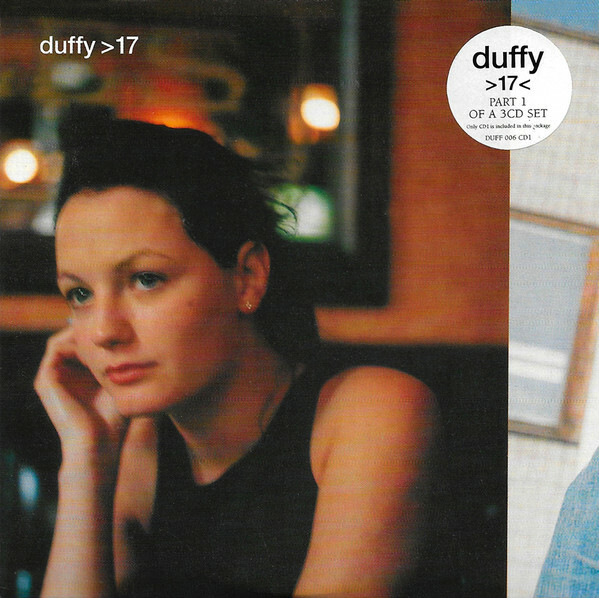 I can’t say anything bad about the sumptuous pop of “You Are,” a song that ranks among the finest I’d ever heard from Duffy in what was then a dozen years of fandom. 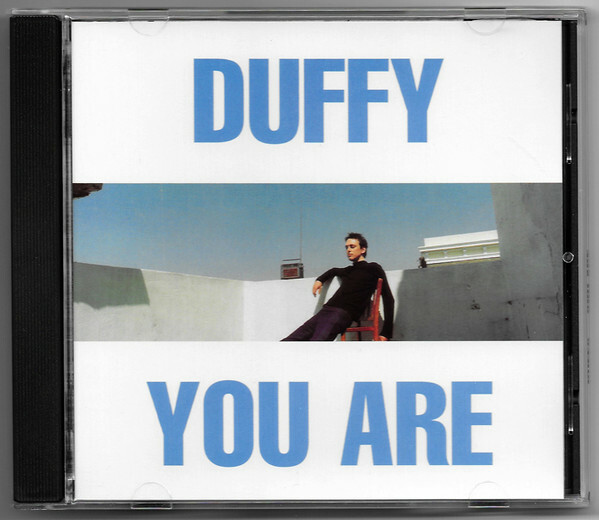 In 2001, I was in Toronto shopping and found the Canadian “You Are” 5-track single. Years later I saw on Discogs that there had been a 3xCD issue of “17” on Indolent though I have never been able to source these releases. What I did manage to find was the single CD Cooking Vinyl version of “17” instead. And that wasn’t all that easy, either. 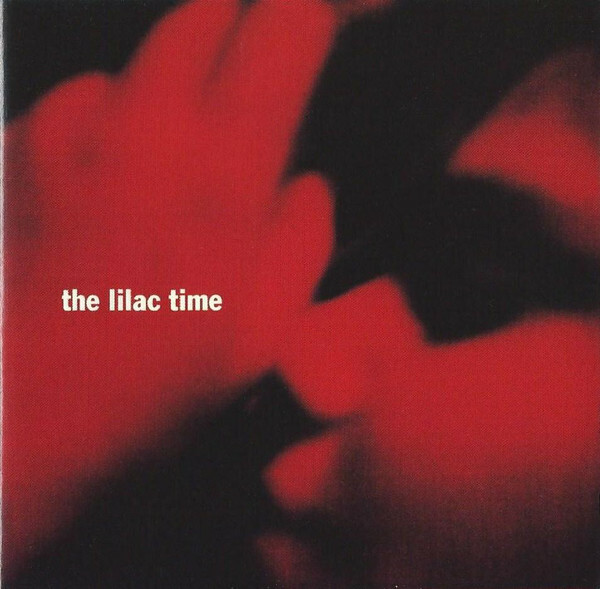 To make thing even more complex, the following Lilac Time album had two of these B-sides appended as some of the five bonus tracks on the US version of “Looking For A Day In The Night” the following year. I have no idea if these are Lilac Time re-recordings of the B-sides or not. I suspect not, but I can’t check now. All of this detail is getting a new coat of paint with the DLX RM of the title that new label Needle Mythology [their very name taken from the Duffy song title] will be issuing on May 10th. 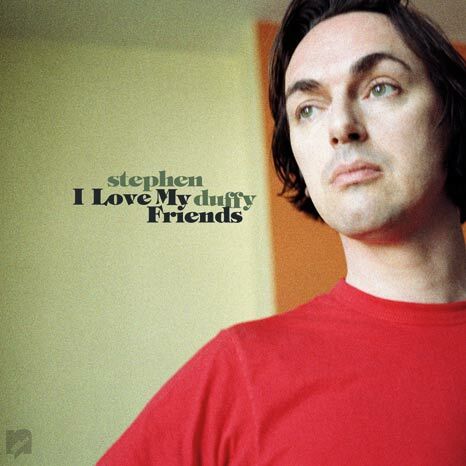 The original running order of “I Love My Friends” has been restored and the two Andy Partridge session tracks have been appended as a bonus 7″ in the case of the LP. The CD version is the one for us, though. The original running order is appended by the two Partridge tracks at the end and there is a second disc of demos included in the package. Wait! It gets better. The cost of these discs of wonder is a modest £14.00 [$18.14] and pre-orders from the Superdeluxeedition.com store will be signed by the artiste. I’ve done this weeks ago, but if you’ve an interest, then click here. Canny shoppers will hold on to that earlier release of the album, because “Something Good” is missing from either of the new CDs. 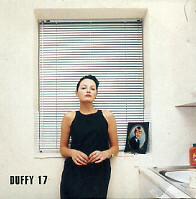 Furthermore, six of the original “17” B-sides are still missing from the story in this new edition. So those remain on the ever-expanding want list. Analyzing the revised running order shows that the original song order built an emotional powerful narrative arc that had been torn apart to lose its collective power for the sake of commerce. As dazzling a single as “You Are” is, the listener is being far better served by the artist’s original intent. 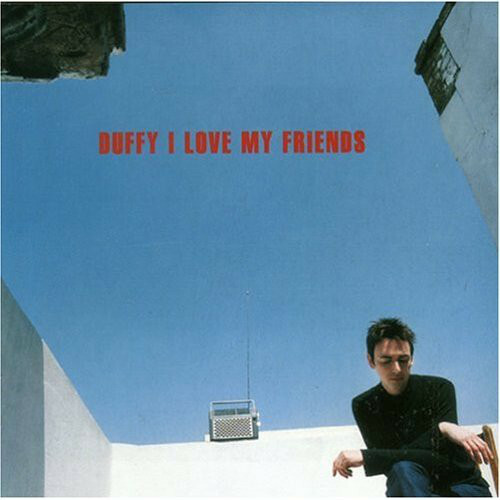 It will be interesting to see if other Duffy albums will get the renewed love and attention that this one has. His second album,”Because We Love You,” was originally called “Cocksure” after one of the B-sides from singles of that period and I can imagine that one getting the reissue nod as well. Especially since the Japan only CD of that title is incredibly scarce. 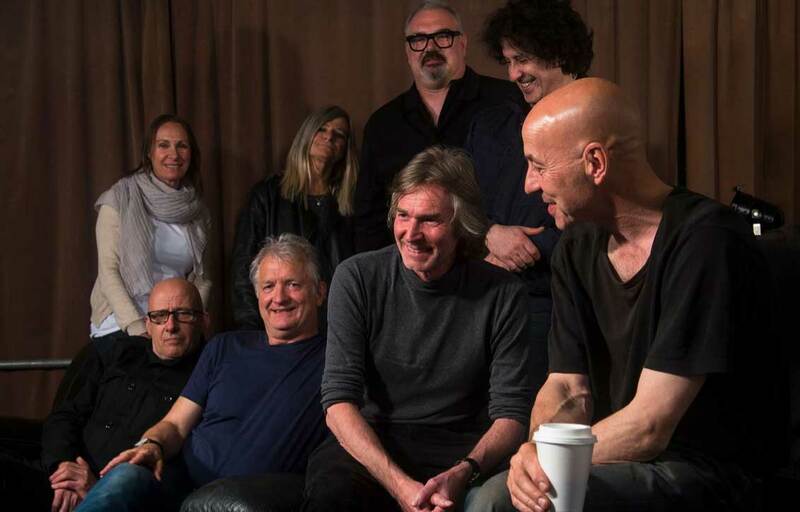 It used to be that merging pop bands with orchestras resulted in kitsch-bombs like “Days Of Future Passed” by Moody Blues, but the best brains behind the more-influential-than-we-knew Visage Orchestral album have obviously sensed a trend. They also produced an orchestral album with A Flock Of Seagulls last year, and now August Day records has picked another UK New Wave band with a much higher profile Stateside than in the UK to get the nod. As usual, John Bryan and Sare Havlicek have been mixing and producing the sessions with the orchestra. With Hues having a classical musical education, his abilities were certainly up to the challenges of arranging the material for the new cost of sonic paint and he joined the production team with their usual arranger, Pete Whitfield in the writing for the orchestra. 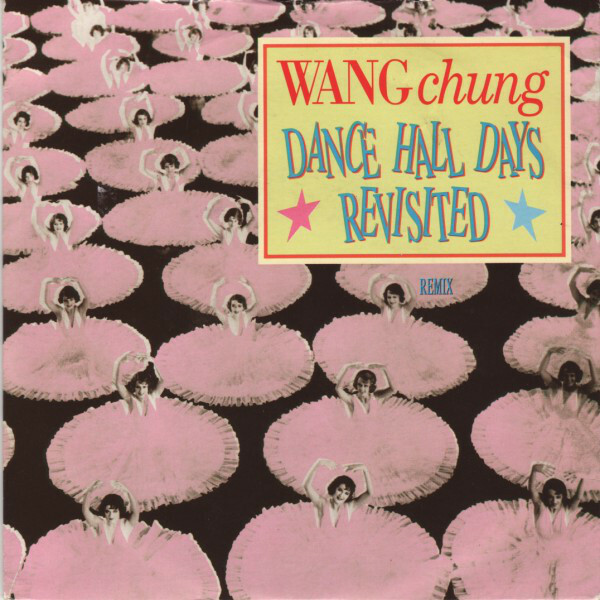 The album will be released on May 10th, but the lead single, a revisit of “Dance Hall Days” [but not “Dance Hall Days Revisited!”] has been out for almost a month. The single is available in DL and CD5! We should all be so lucky, but August Day have never shied away from my preferred single format, so huzzah! The album mix is not a radical shift for the song. The song still has an effulgence that gives it a pass no matter how many times I’ve heard it in public. The Daniele Baldelli & DJ Rocca Vocal Remix deep-sixed the smooth orchestra for a clattery, synthpop re-build that sounded gimmicky to these ears. Better was the Kim + Buran Disco Mix which imagined the song as a Barry White Love Unlimited Orchestra production. The funky rhythm guitar slinked through it just right. The Psychemagik Remix was another gimmicky dip into the synthpop pool. Better was the Orcapella mix that isolated the reason why we’re all here; the orchestra. So the single is a go for the Kim + Buran mix and the Orcapella. I might just opt for those two mixes as DLs, but since it’s actually a CD single, I’m inclined to take the “hard format” plunge. If I ever get some pocket change. We’ll find out what the full album holds in just 20 days; probably sooner as the wheels start turning. As for me? I’m laying odds that August Day will be calling The Fixx right about now with an offer they could not refuse. Can you resist the jolly, CANDY-LIKE Random Post Button® at the right hand side of this page?! A new widget button has been added to this website that provides function that I have wanted for a loooooong time. Clicking this button on the right sidebar will serve up a random page from the almost 1800 [as of April 19th, 2019] pages of content here. It’s like playing a slot machine, crossed with a time machine, except that it’s free. I thought in the early days of this blog that this would be easy to implement, then I saw that it was not [when thinking conventionally]. As it turned out, it really was disgustingly simple to implement in the end; years after I looked into how to achieve this the first time. Sigh. But that’s all behind me, now. It’s 2019 and the band that Shriek’s together…uh… peaks together? Yeah, I meant to do that! We’ve been deep in long threads [more to come soon…] and simply dealing with life, but the world never ceases turning just because we’re in the weeds. Last week Shriekback launched their latest crowdsource campaign. This time for their next album, rather than the successful… and unsuccessful stabs at becoming a live band again in Europe and North America. The last campaigns were on Kickstarter, but the music industry had flocked to the PledgeMusic platform…until they collapsed like a house of cards this February. Looking elsewhere, the band have opted for the Indiegogo platform to get the financial juices flowing this time. In the background on this campaign, Mr. Andrews released that while it’s all well and good that the band can make albums on laptops and home studios scattered hither and yon, the last album was such an accomplishment, that they feel that to move forward artistically, they should get together in a room the old fashioned way and write together and bounce ideas dynamically off of each other. ¡Mamacita! If you mean to tell me that the wondrous “Why Anything? Why This?” was cobbled together in bits and pieces then I am well and truly amazed. By all means, let’s pitch in and get the band in the same place and see what magic will be the outcome. Goodness knows that OMD have benefitted from using that approach on their last two albums, and that is also the methodology that Heaven 17 has subscribed to for their next album [should it ever appear]. But the glory of the last Shriekback album was that I never would have guessed that it was made any other way. My bet is that if Shriekback pull off this latest campaign, then even the lofty achievements of album #14 could recede into the woodwork of revised history. So this money will pay for travel/lodgings/rehearsal studio time for the group to unite for this noble cause. $650 – Commissioned song. As with “Elated World” you provide the title and Shriekback write a song for it of a two minute length. $1300 – Shriekback Acoustic Jukebox – CD/DL, an acoustic version of any Shriekback song you specify on video with a personal message – guaranteed not to be folk music! Happily, after a week’s campaign, the band have netted a third [$10,766] of their $33,500 goal. But as we’ve seen, this by no means guarantees the finish line. On the further upside, only one of procured pledges has been at the highest [$2,600] level thus far. Meaning that the rest has been achieved via the middle range of pledges from $20-$260. None of the $650-$1300 price points have pledges yet. That gives me hope. As much as I’d love to drop $2600 on the gig, that’s surrealistic. I would like to hit the $39 price point but may have to just go for the $20 CD, which I will need in any case! Right now the budget is squeaking like a pinched balloon neck after all of this travel! The album will be ready in December, so this is on the front end of the process to ensure that it is the Shriekback album that we all richly deserve. Pledge by hitting the banner below! After we stumbled out of the Tennessee Theatre following the amazing performance by Nik Bartsch’s RONIN, we were dehydrated and hungry. It was time for dinner, so we walked to Bistro at the Bijou, and got a meal there. Afterward, my wife and I were uninspired by the desserts on offer. My wife wanted to go to the chocolate shop, so we walked there. Not liking chocolate, I saw an ice cream shop and got something there. While I was in line, my wife walked to where the car was parked north of downtown, and found a spot close to the Bijou, since rain might be in our future. Then, at about 6:45, we queued up in the line for the final concert. We were let into the Bijou at 7:30, meaning that this was the first Budd concert that would start on time for this festival. After being held captive in the bar, they finally opened the doors to the theater and we got our seats. Unlike the first two Budd shows, the audience for this one was less than capacity. I guess other Sunday night headliners had more pull with the revelers this time. Unlike every other Budd concert we have seen, there was no gong solo to mark the transition into Budd-space. The musicians got right down to business. 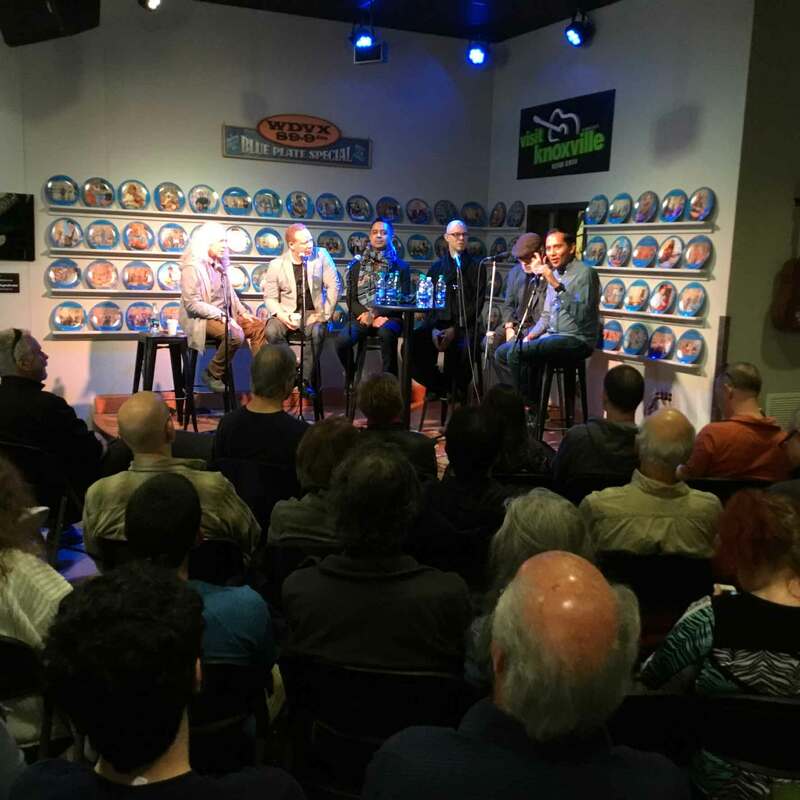 The performance was an expansive 90 minute version of “As Long As I Can Hold My Breath” from Avalon Sutra with ACME strings, Tim Story [keyboard & electronics], Terrence Budd [guitars and keyboards], Sean Connors [percussion], Lisa Raschiatore [clarinet], and Trenton Takaki [piano]. Budd did not play piano this time, only synth as Trenton Takaki did the honors on the 88 keys. As with the earlier performance with ACME, I was astonished at how they managed to play such long, slow drone notes and that capacity was stretched to the limit here as the entrancing beauty unfolded in the vintage theater. This was really the most familiar performance of the festival thus far. Most of what he had played at Big Ears was new, unreleased material, or music re-arranged for the ACME strings. Anyone with a copy of “Avalon Sutras” would have recognized this as the content of disc two, taken to even further extremes of length. 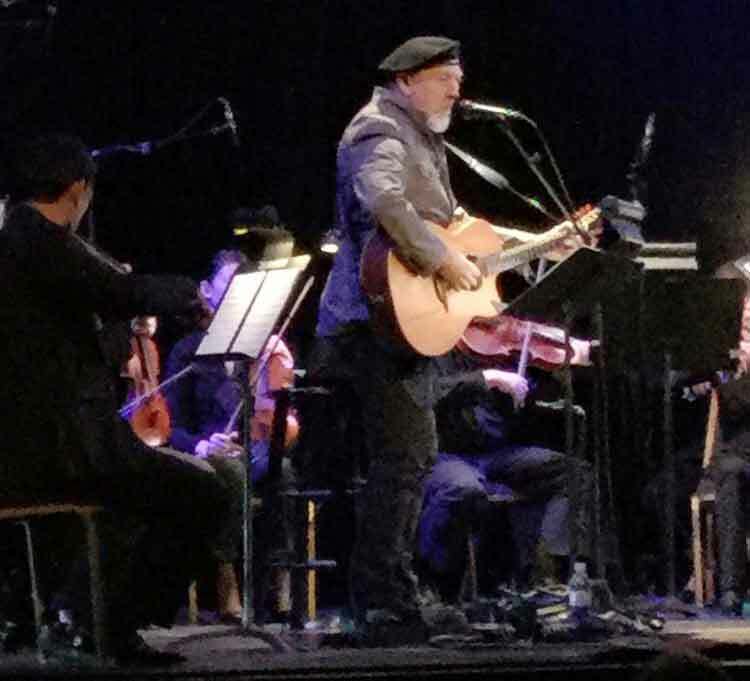 It was notable that after twenty or so minutes of playing, that Mr. Budd took his leave of the stage, leaving his son Terrence [also playing guitar], as conductor for the performance. And in this act, one got a sense of how Budd has put his artistic legacy into his sons hands. This was music that would outlive Budd and perhaps all of us. And thank goodness as this was the perfect way to finish up a four day music festival with ambient loops of sound [albeit played by hand] circling, and re-circling into a delicate dance of splendor. At the conclusion the composer joined the musicians for their bows and that was that. 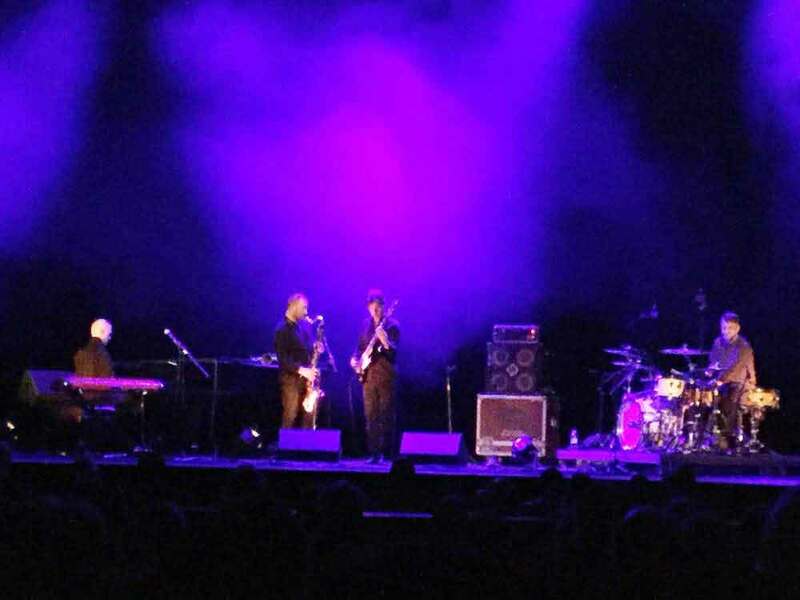 We had now experienced three Harold Budd concerts in as many days! After this, my second full festival attended, I have hit upon a proviso or two that I need to live by the next time I find myself attending one. Flitting from portions of a performance to another is not satisfying, and I need to remind myself to avoid this going forward. It’s best to see an entire performance, since festival sets are usually brief in any case. If an artist is not enjoyable, always have a backup you can attend, preferably nearby. And finally, if David Torn is playing, think very hard if you want to attend or not. And then don’t go. No matter how much you may like his playing on other people’s albums. In common with the Moogfest I attended in 2014, there were two utterly dazzling breakout performances here that astounded me and thrilled to no end: Mimi Goese and Ben Neill and Nik Bärtsch’s RONIN. Those two more than made up for every show we walked out of quickly! I treasure those kind of musical jolts that have always been genuinely rare with me. I tend to intellectualize my response to live music [ya think?] and relish the rare opportunity to be genuinely rocked by a performance that comes out of nowhere to make a very big impression. 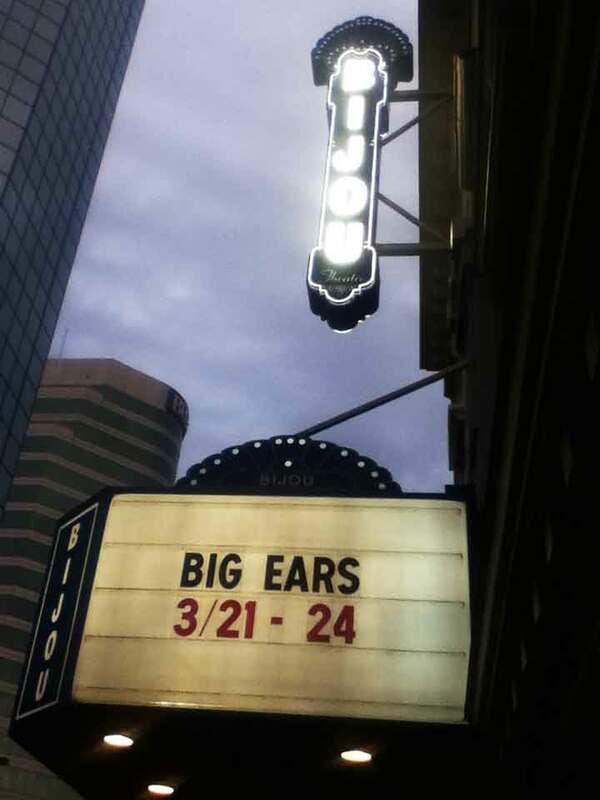 Big Ears was a very different festival with most attendees being older in keeping with the relative lack of rock on offer. I saw more people my age than twentysomethings bopping around. The vibe of the festival is more sedate. Now that they have brought Budd there, it may be that we don’t venture to Knoxville any more to see it because outside of Ryuichi Sakamoto, I can’t think of another artist of significance who would be a likely feather in the festival’s cap that we are that enamored of. Well, maybe there’s always John Foxx or Nits [crosses fingers].